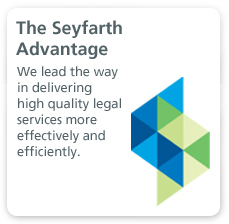 Companies of all types and sizes in a myriad of industries turn to Seyfarth’s Global Privacy & Security (GPS) Team to successfully and proactively navigate through an increasing maze of laws, regulations, and enforcement actions relating to data privacy and security. 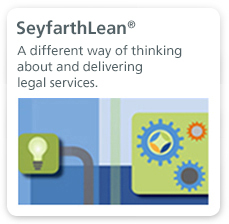 We provide a thoughtful, holistic approach to solving clients’ privacy-related problems. 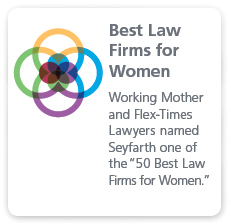 Seyfarth has a cross-departmental team of lawyers from various legal disciplines who dedicate a majority of their practice to the privacy-related issues faced by employers and consumer-facing companies. Numerous leading companies — including financial institutions, hotel franchisees, transportation companies, real estate management companies, software companies, third-party administrators, consumer electronics manufacturers, retail grocery stores and Internet retailers — have enlisted our firm to assist in responding to security incidents, developing responsive programs to privacy and security threats, advising on new business and technology models, and negotiating with parties up and down the supply chain. Our GPS Team assists clients in analyzing their practices with respect to data collection, use, transfer and retention, including maintaining information in the cloud, implementing state-of-the-art, cutting-edge compliance programs to preserve and protect personal information, and training clients on proper privacy and security practices. Our depth and breadth extends well beyond the U.S., and we offer a cross-border specialization with experience in counseling companies on privacy and security issues throughout more than 150 countries. We work on the side of incident prevention, through the creation of internal practices and policies regarding privacy and data security. We counsel clients on domestic and international data compliance programs for employers and consumer-focused companies, and have experience in developing policies and procedures for clients doing business within Europe, Asia, the Middle East, Africa, Latin America and Canada, as well as, of course the United States. We have extensive experience and knowledge with respect to the data confidentiality and security issues that arise in vendor and technology transactions. Our attorneys have advised some of the world’s largest companies across various industries — as well as innovative growth and start-up companies — with respect to data privacy and security matters in the context of technology contract matters, from complex multinational sourcing and joint venture arrangements to mergers and acquisitions. We understand that the unauthorized disclosure or use of information needs to be responded to seriously and quickly. We employ our rapid response team to investigate such incidents and assess our clients' responsibilities under applicable laws and contracts. In the event of an actual breach related to personal information, we advise our clients on how they can best communicate with law enforcement, consumers, regulators and consumer reporting agencies. We also help our clients to develop appropriate remedial measures in order to mitigate the possibility of the same breach happening again. As is often the case, security breaches cause litigation. We defend our clients in actions brought by regulators (such as local data protection authorities, the Federal Trade Commission and State Attorney General) or civil plaintiffs, as well as litigate issues arising from computer and e-mail hacking. We also have a great deal of experience in litigation involving privacy issues unrelated to security breaches, such as obtaining information regarding anonymous/pseudonymous parties from Internet service providers, and building cases involving defamation, misappropriation, disparagement, and “spoofing” on websites. We advise clients on the basics of big data and how companies can derive valuable insights from the previously unknown relationships within large data sets while still respecting the privacy of individuals. We help clients utilize the benefits of big data, such as identifying and proactively addressing issues within their organizations, reducing operations costs, and understanding correlations in consumer behavior to differentiate your company from competitors. We counsel clients on big data’s incumbent risks and challenges to privacy, trade secrets, and other intellectual property, including potential landmines regarding predictive capacity, accuracy, and ethics. Privacy & Security Team secures national ranking in The Legal 500 US.